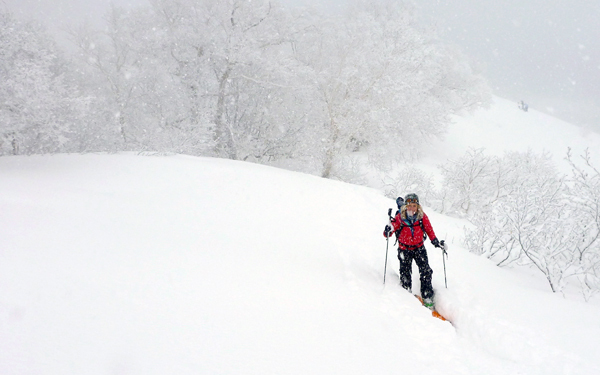 Rishiri Island, 20 km off the Northern tip of Hokkaido, Japan is one of the most unique but unknown skiing destinations in the world. 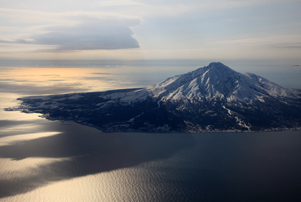 Rising directly out of the Sea of Japan, the 1721m Mt Rishiri is a dormant volcano that creates the island itself. 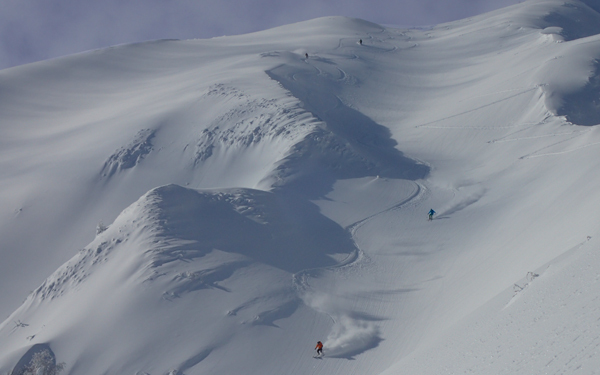 With a circumference of around 60 km, the cone shaped mountain has been eroded over time to create many different ridges and valleys that provide seemingly endless options for skiing. 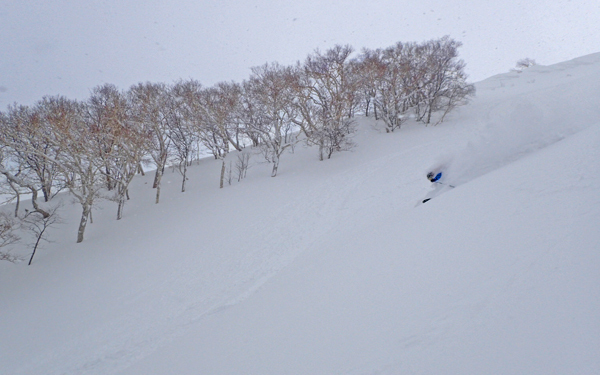 There is no shortage of skiing options from steep alpine terrain up high to rolling treed terrain down low. In addition to the skiing, the remote location and small communities in the area will be a fantastic cultural experience. 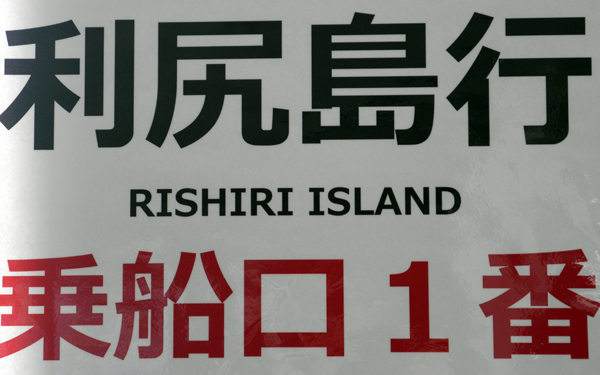 Rishiri Island’s 5000 inhabitants come from a long history of fishing with tourism recently becoming popular. 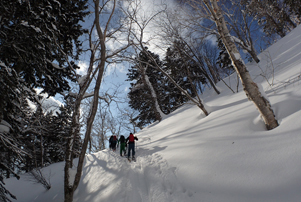 As part of our Hokkaido, Japan ski trip package, we will be staying at a Ryokan (Japanese Inn) where the owner is one of the few backcountry skiers on the island. He will accompany us for part of our time skiing in the area. His family will also provide us with authentic Japanese cuisine. 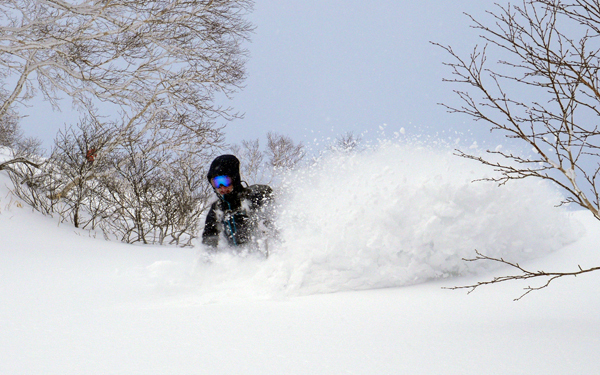 A private Onsen (hot spring) is also located onsite and will be a welcome addition to your Rishiri Island skiing experience. Day 1: Meet at the Wakkanai airport on Hokkaido before transferring to the Rishiri Ferry. In good visibility Mt Rishiri dominates the views during the ferry ride. Once we dock at Rishiri Island we will be transferred to our trips accommodation. 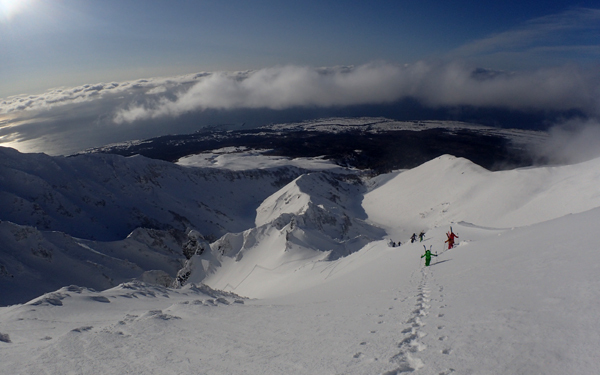 Days 2-7: We will explore the dormant volcano’s many options looking for good skiing and good adventure. 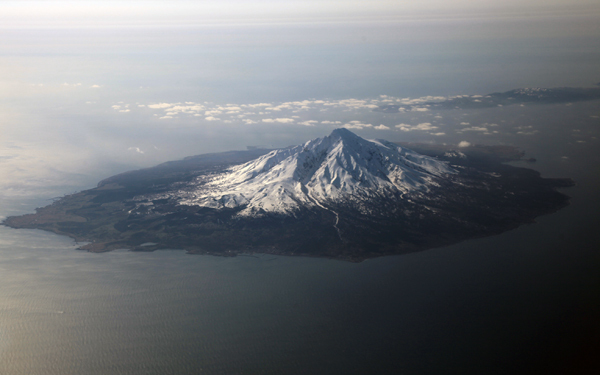 Snow machines or vans will be used to cover the flatter ground between the coast and steeper terrain on the volcano. 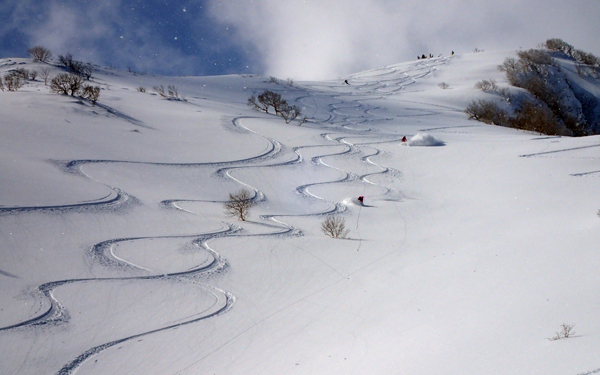 The days skiing objectives will be chosen based on the weather, avalanche conditions and snow quality. 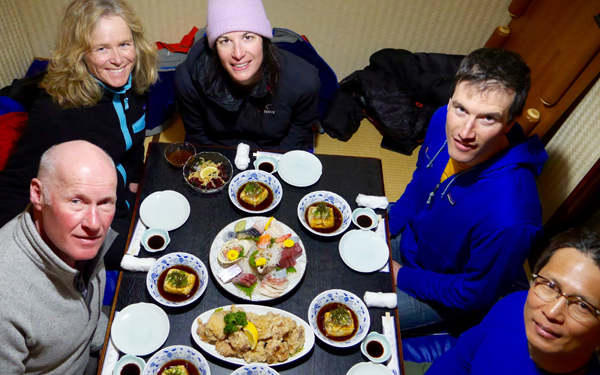 Each day we will finish with a soak in the onsen and with traditional Japanese food. 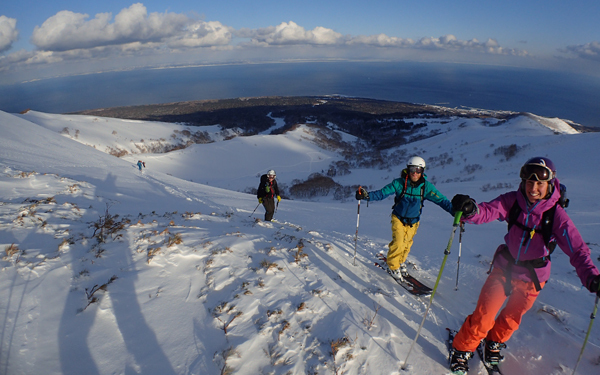 Day 8: We will retrace our journey from Rishiri Island to Wakkanai where we will conclude this cultural skiing experience. Yamnuska has specialized in running mountain tours for Japanese guests in Canada for many years. Due to this we have excellent Japanese connections and local guides who we use in operating this tour. There will be one of our ACMG guides on the program. There will also be a local Japanese guide who will accompany us at the start of the trip and help with logistics throughout. Minimum group size is 4 participants, maximum is 8. There is one flight per day that will allow us to arrive in Wakkanai and catch the ferry to Rishiri Island. Guests must arrive on this flight (Haneda (HND) to Wakkanai (WKJ) NH571 10:45-12:35). We will have a quick turn around to catch the ferry over to Rishiri Island. You will be responsible for your flight costs to arrive and depart Wakkanai, Japan. Included in the price of the program is all ground transportation costs starting from day 1 through day 8 returning to the airport. Accommodation is included in the tour price. We will be staying at a modern Ryokan (Japanese Inn). The program is priced based on double occupancy. There are 3 rooms available for single occupancy that can be booked for an additional charge on a first come, first served basis. If you would prefer your own room, please let us know in advance and we will do our best to organize this. All breakfasts and dinners are included in this trip with the exception of 2 nights where we will eat in local restaurants in the evening. No lunches are included however these can be purchased locally. For the 2 evening meals not included, different options will be available for guests to choose from and purchase on their own. Alcoholic beverages are also not included. 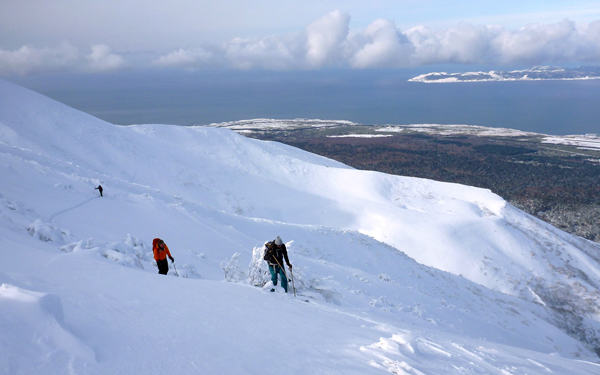 You will need to bring adequate clothing and equipment for a backcountry ski trip. Yamnuska will supply group equipment and can provide certain pieces of technical equipment (harness, transceiver etc.) if required. Please see the list below. 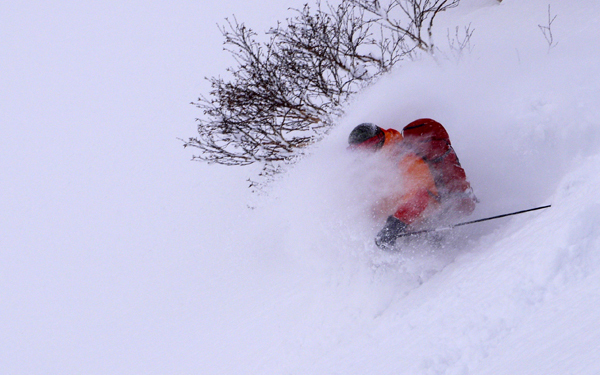 You will need to bring your own clothing and gear for day ski tours. The equipment and clothing you bring will have a big impact upon the quality of your experience. Please be sure to bring all items listed. If unsure about anything, please don’t hesitate to call and ask us! There are two ski systems you can use: System 1 Alpine Touring skis are essentially downhill skis with a special touring binding which allows the heel to lift whilst going uphill or across the flats and then ‘locks down’ to become a regular downhill safety binding. We recommend this system to anyone with a background of downhill skiing who is not already an advanced telemark skier. System 2 Telemark skis. These should only be used for this program if you are at least an advanced-intermediate telemark skier with some backcountry experience. This system is more difficult and less forgiving than the other. Which should you use? 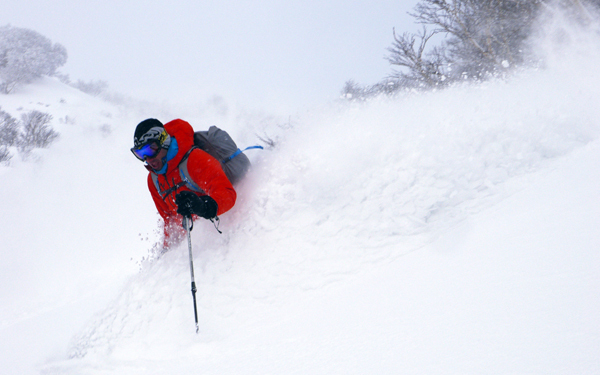 If you are a downhill skier, then you should use Alpine Touring gear. Only if you are already an advanced Telemark skier should you bring Telemark gear. 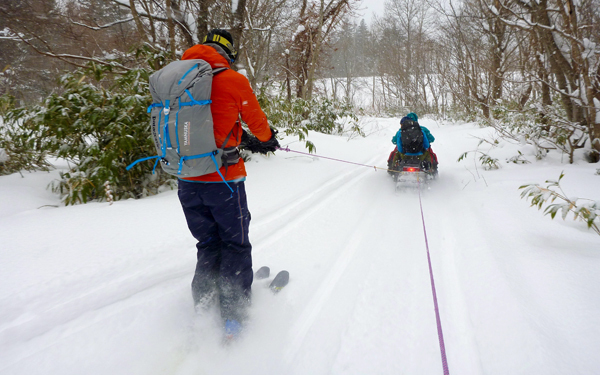 Splitboards may also be appropriate if you are experienced with it in the backcountry. 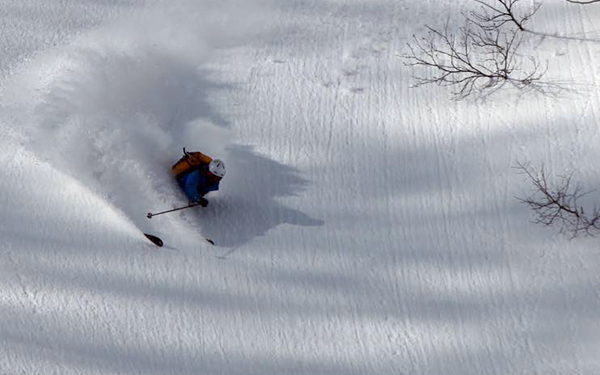 Skis We recommend a short (160 – 185cm) wide ski designed for powder skiing and ski touring. Please see note under rental information if you are renting ski equipment. 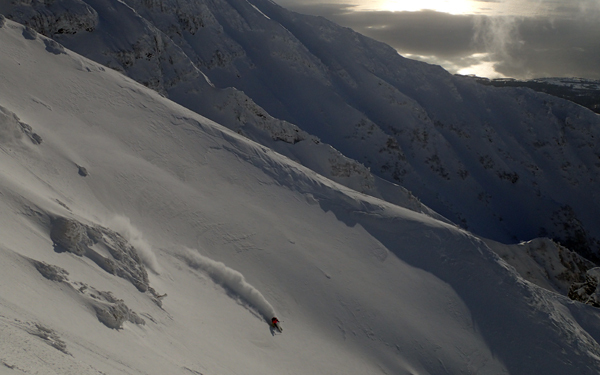 Skis/splitboard: There are three viable backcountry systems, Alpine Touring, Telemark, and Splitboard. 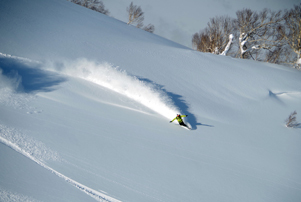 Alpine Touring: Essentially downhill skis with a special touring binding which allows the heel to lift when going uphill and then locks down to become an alpine binding for the downhill. Telemark: Free-heel telemark bindings should only be used for this program if you are at least an intermediate/advanced telemark skier with backcountry experience. 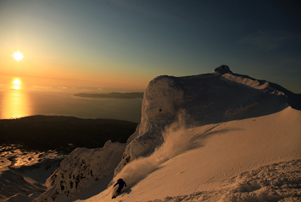 Splitboard: Snowboarders sometimes use a splitboard in the backcountry. This system is enjoyable on the descent, but frustrating on the flats. The transitions between uphill and downhill can also be very time consuming. If using this system, please ensure that you are proficient at switching your bindings. Boots: Backcountry boots are different from regular alpine ski boots. In the backcountry, boots need to have an uphill mode that allows a free range of motion in the upper part of the boot. You should not use your regular ski boots for touring and walking uphill. Climbing skins: The glue on the base of the skin should be in good condition and the skins need to be properly fitted. Try the skins on your skis/splitboard to make sure they are the right length and width before you arrive. Ski poles: Backcountry poles need powder baskets on the tips. 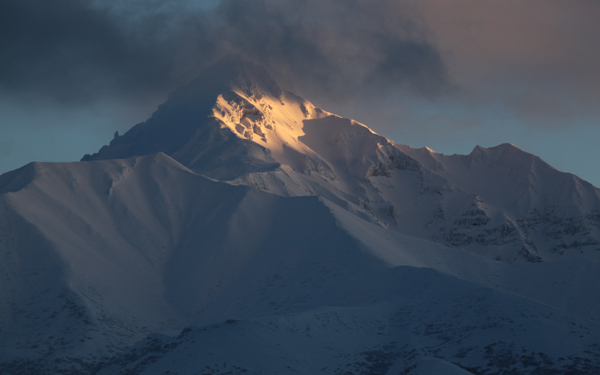 Avalanche beacon: A three antennae transceiver is required. Yamnuska uses the Backcountry Access Tracker 2 for all of our winter programs. Probe: A minimum 240 cm in length. Shovel: A metal blade shovel is required. The climate on Rishiri is cold and moist so it is important to have a range of layers with you. An essential item is a ski mask as it’s easy to get facial frost nip in the prevailing strong moist winds found higher up. We suggest bringing light clothing of varying thicknesses that can be ‘layered’ to achieve comfort and versatility. The most important consideration for clothing is the ability to regulate temperature as you change from periods of activity to periods of rest and from the ascent to the descent. Ski Mask … strongly recommended! Japan is largely a cash society and ATM’s are scarce in the smaller towns. You will need cash to pay for lunches, drinks and other incidentals. Please book as early as practical to avoid disappointment. We require a 35% deposit on booking with the balance due 8 weeks before departure. It is wise to ensure that your health plan will cover you in case of illness or accident whilst here. Obtain extra coverage if necessary. Detailed booking instructions and conditions. There are two basic types of insurance that most travelers need to consider: Medical and Cancellation/Trip Interruption Insurance. We highly recommend you purchase it. $3990 CDN includes certified guide, land transfers, all breakfasts and dinners (with the exception of 2 nights where we will eat in local restaurants in the evening). There is no GST (sales tax) on this program. Not included in this program are flights to and from Wakkanai. As well, you will be responsible for your own lunches and alcoholic beverages on the trip which can be purchased locally. This is a challenging trip with multiple days of touring in a row. There are days of ascent over 1000m (3300ft) and you should be comfortable skiing with a pack (15-20lbs/7-9 kg) on most terrain in variable conditions. Skiers and riders should be intermediate skiers at minimum, able to link turns in variable snow conditions. This would be suitable for people who have completed the Wapta traverse, Bow/Yoho Advanced ski week or a lodged based touring week. Understanding the prerequisites should help with your training throughout the winter. 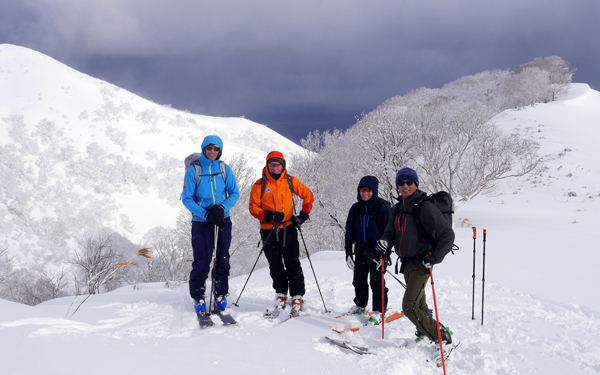 Winter ski tours and walks with a 15-20lb pack is recommended as the best training, however other activities such as cross country skiing and hiking can also be good training. Please read the itinerary and difficulty sections and be both physically and mentally prepared for the trip. If you are uncertain about your experience level, please call us.